Woodland Primary School takes play-based learning to a higher level with Explorience – a weekly 70-minute event when students learn high-level concepts through classroom experiences including creating a space habitat, understanding body movement through kinesthetics, becoming explorers on the Oregon Trail, and a wide variety of other projects designed to teach students science and social studies through hands-on learning. During Michelle O'Flynn's Explorience, students become aviators and learn the forces of flight including lift, thrust, drag, and weight. Teachers developed different experiences based on their own interests as wide and varied as complex Rube Goldberg machines where motion and momentum create a cascade of interactions, or by using a race track to learn how acceleration, velocity, and distance can affect a racecar’s performance. “The vocabulary and standards-based themes students learn in each experience are posted throughout the classroom and on the materials the students receive so they receive repeated exposure to the standards by using the vocabulary and concepts as they learn them,” said Pat Jones, the school’s instructional coach who helps teachers develop effective lessons for students. 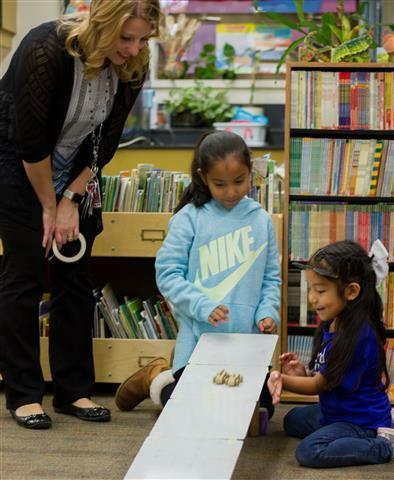 By building their own racetracks and racing cars, students in Teresa Burns' Explorience learn acceleration, distance, height, and the direct effects of physics. In the last ten minutes of each Explorience, students use journals to jot down ideas and reflect on the lessons they learned in that day’s experience. At the end of each eight-week session, students use their journals to reflect on the activities they took part in, what they learned, and create hypotheses to share their knowledge with their classmates in a process called collaborative learning. 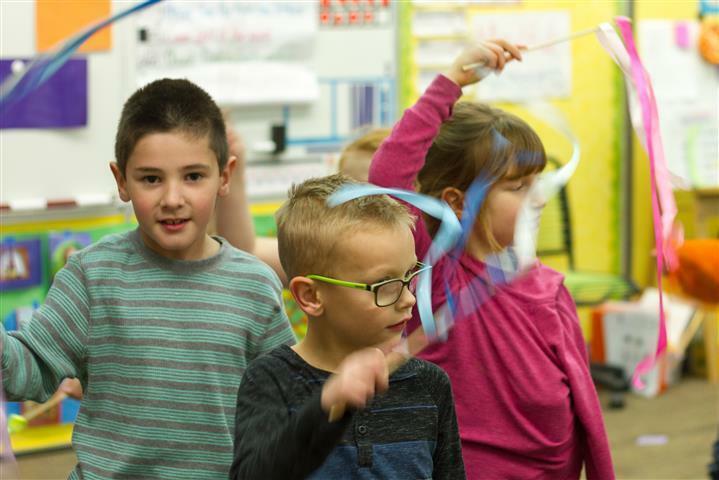 During Andrea Edwards' Kinesiology Explorience, students learn kinesthetics, memory, and concepts of energy by exploring how the human body works. 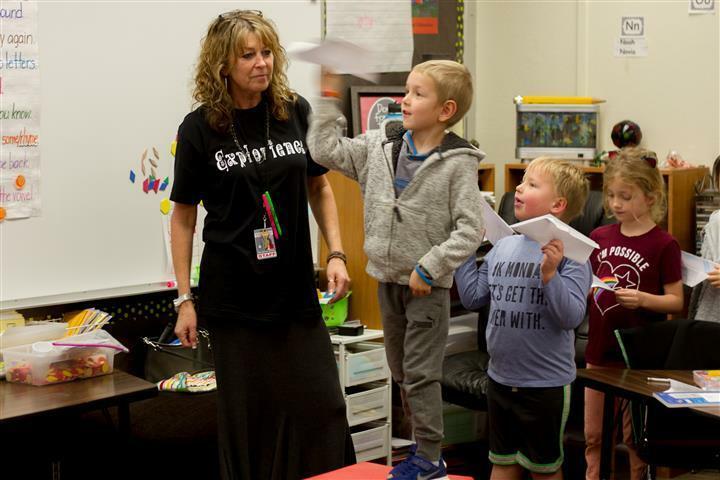 In order to ensure Explorience activities meet the state’s standards for science and social studies, the administrative team mixed teachers’ passions with the concepts and standards students need to learn. The academic language used in each Explorience is thoroughly planned in advance with students using the knowledge learned during Explorience throughout their coursework following that day’s experience. Before using an experience with students, the school’s teachers take part in their colleagues’ ideas to ensure the experience teachers the concepts and can work in the limited timeframe. 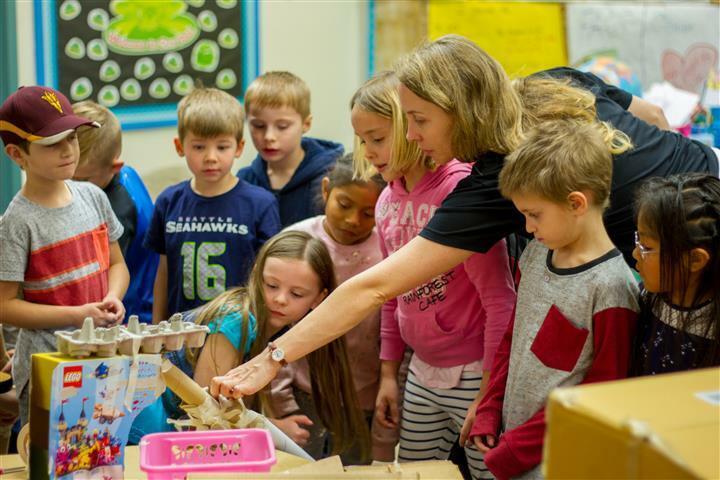 “We’re on the forefront of what science learning can become – teachers and students passionate about experience-based learning to ingrain the lessons demonstrated through experimentation,” said Jones. 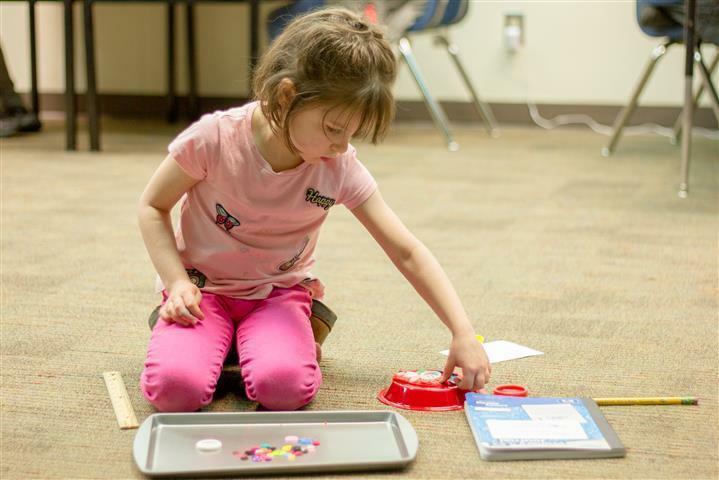 Lorie Vogel's Explorience teaches students construction engineering by using simple construction materials such as buttons and clay to create complex structures while learning challenge, comparison, and measurement concepts.